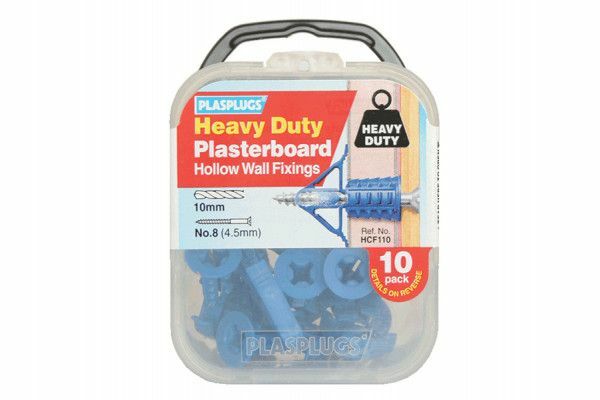 Plasplugs' original heavy-duty, easy to use Plasterboard Fixings ideal for securing medium to heavyweight items in plasterboard. The multi-thread technology offers superior holding power. 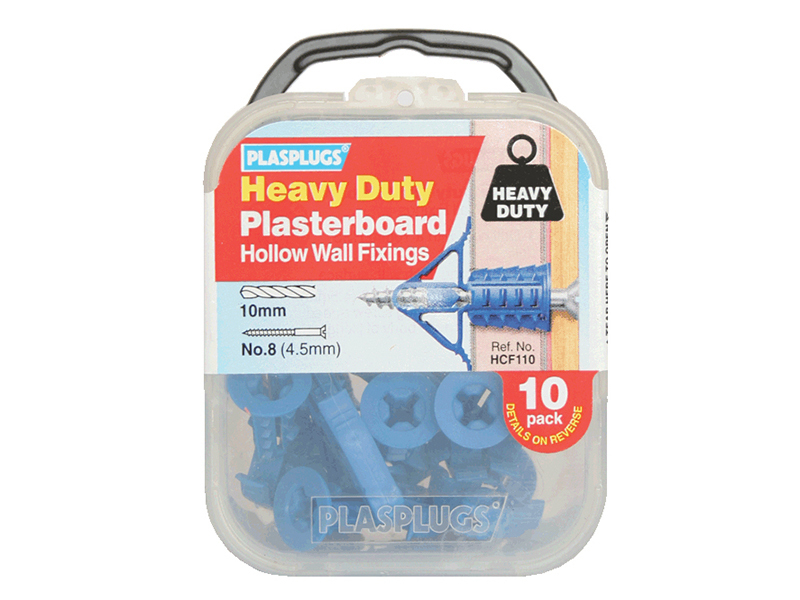 With an expanding barrel and contracting fixing with integral screw thread. Typical applications: shelving units, wooden battens, wall lights, small mirrors. Screw Size: No 8 (4.5mm).